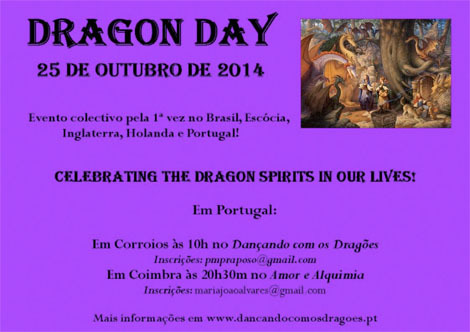 The first World Dragon Day is on Saturday October 25 2014! 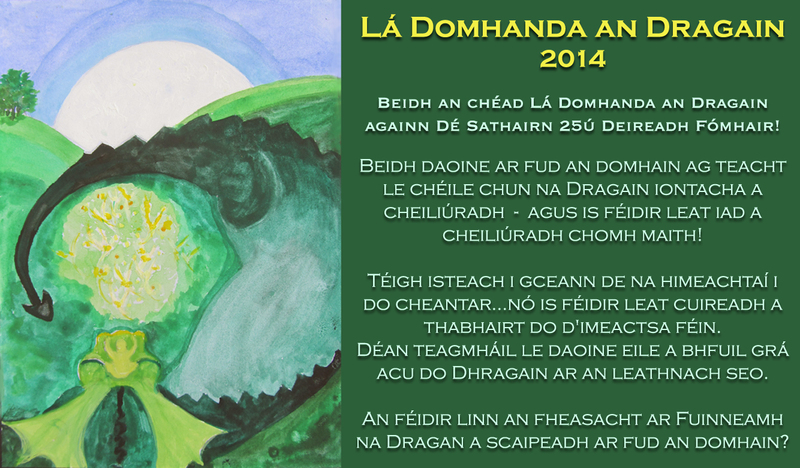 People around the world will gather to celebrate the wonderful Dragons – and you can join in! 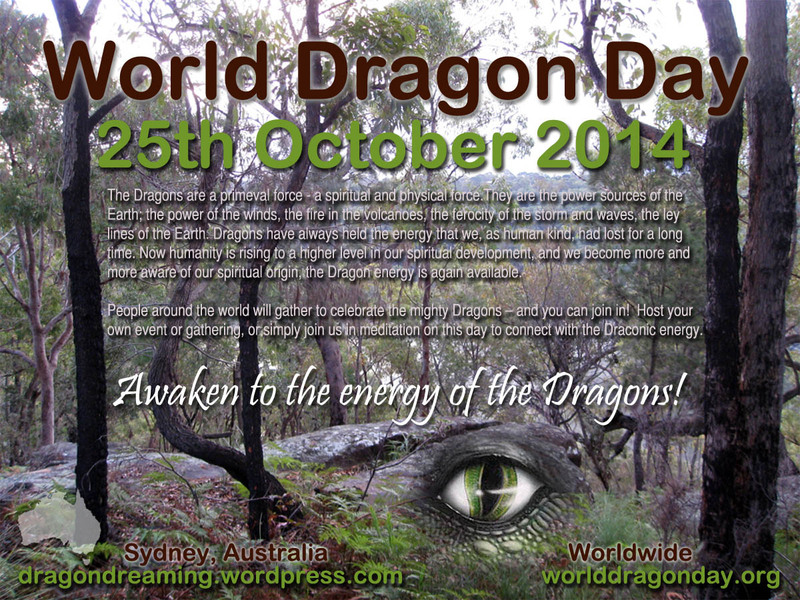 Update: 18th October 2014 ~ World Dragon Day now has its own website! 🙂 As of this date it still needs a bit of work but the basic information is there, and I’m sure the website owners will have it completed well before the big event. 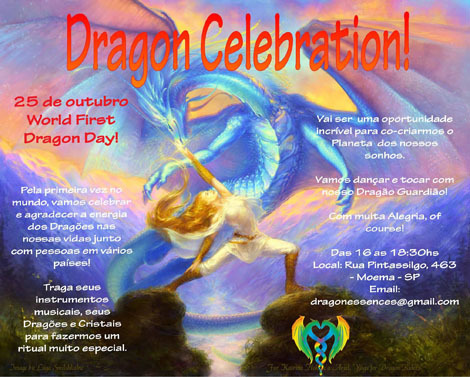 I’ll certainly be checking back afterwards to see any photos posted from the various World Dragon Day events held around the world. 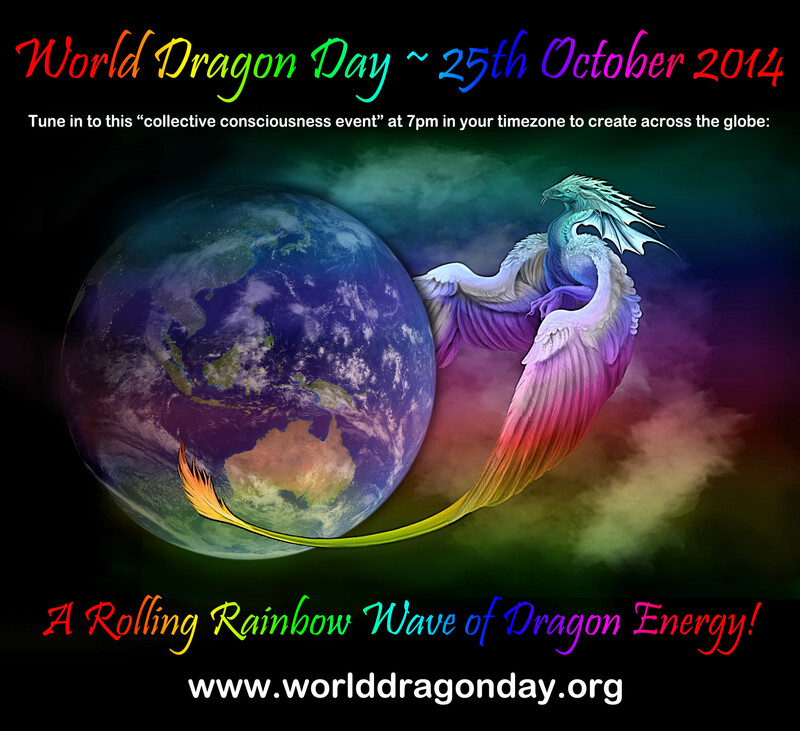 I will be celebrating privately by meditating at my home, however, perhaps others here in Australia might also wish to “join” me by doing their own meditations and also tapping into the energies worldwide at some time during the 25th October. 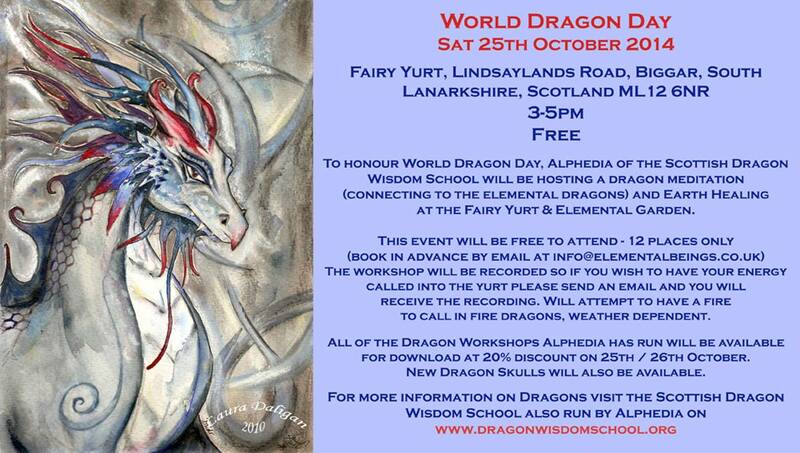 I will also probably be honouring the Dragons on that day by doing some preparatory work on my next Dragon mask, which will be a Dragon of Earth (hence the “earthy” theme for my banner above) as my local Pagan group’s annual Beltane gathering is on the following weekend and one of our activities over the weekend is to make an Earth Dragon mask. Previous masks have been Dragons of Fire, Water & Spirit — this year we do Dragon of Earth and next year we will make masks for the Dragon of Air. 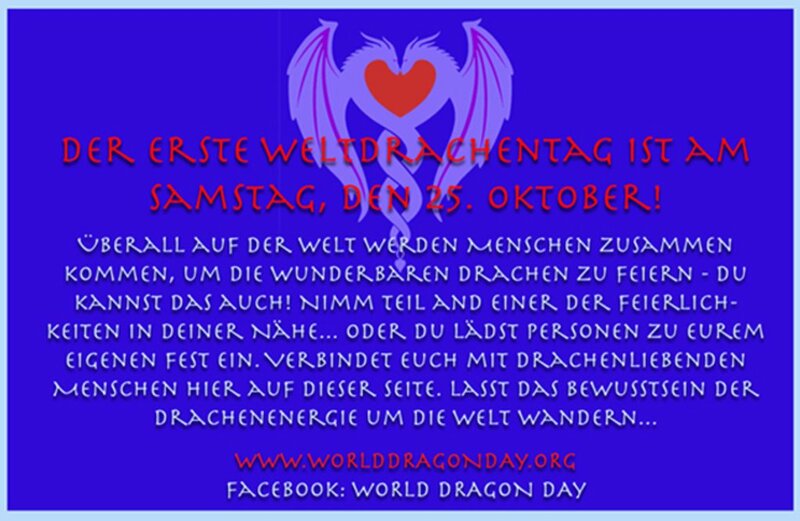 Yet another update: a few hours later, lol ~ A meditation video has been made for everyone to use if they wish to on WDD. 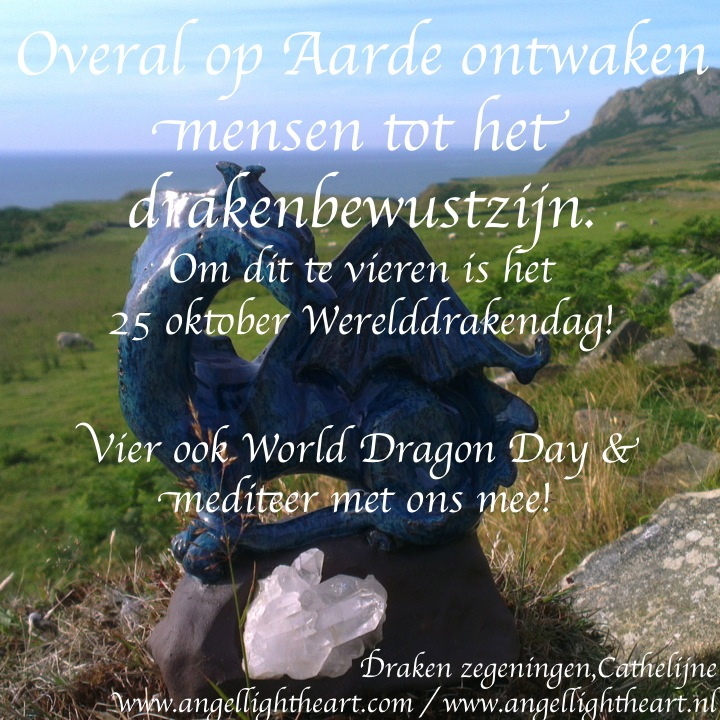 This entry was posted in Draconic Miscellanea, Dragon Magick, Dragon Meditations, Magickal Tools, World Dragon Day and tagged 25th October 2014, Dragon Wisdom Cards, World Dragon Day. ← All happy again now! I must look into this. I am not sure if our local Chinese community is still doing their annual Dragon Festival, but this looks to be an interesting thing. However, one week does not leave much time to plan and organize a potentially large event. We’ll have to try, though.